When I was growing up, one of the highlights of the summer and Christmas school holidays was the BBC’s children’s programming. Every morning they’d air a Tarzan movie and episodes of serials including a French series that I can’t remember the name of and the old black and white fiction serials from the 1930s – Zorro, The Lone Ranger and Buck Rogers. 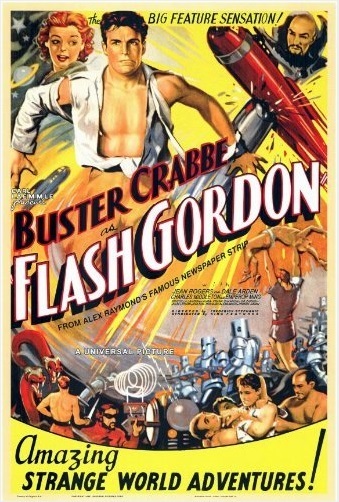 I enjoyed them all, but my favourite was Flash Gordon starring Larry “Buster” Crabbe. I’d eagerly sit down each morning to see how Flash, Dale and the Doc managed to get out of whatever pickle they’d got themselves into the day before. I don’t know how many times I watched each series (I remember them being shown every year for most of my childhood, although I doubt that’s actually true), but they stuck with me, and I’ve always had a soft spot in my nerdy heart for those serials (helped by the 1980 movie of course). A couple of years ago, before I started indie publishing, I was trying to think of a way to add more interesting content to my blog and post more regularly. I was also trying to think of a new writing project that I could use to fill the time between drafts of the novel I was writing at the time – The Ghost Smuggler. Ethel the Muse suggested I kill two birds with one stone and write a serial and post chapters here on the blog. The idea reminded me of those old black and white shows and it was obvious that a homage to the TV viewing of my childhood was the way to go. I wanted to keep it simple so I decided I’d write 10 episodes of about 1,000 words each. I quickly decided that wasn’t long enough, so I extended it to 26 episodes – six months of content. Oh, and 1,000 words seemed a bit short so I increased the word count to 1,500. So, in August 2013, I started outlining a series of flash fiction stories that combined would tell the story of teenage nerd and unwitting space traveller, Glitch Mitchell (you can find a post with more detail on the process here). When I started writing, two things became clear very quickly. One, my 1,500 word chapters were coming in closer to 3,000, and two, I was really enjoying writing the story. What had started off as a throwaway project had turned into a novel. By then I’d decided to try my hand at indie publishing and decided that Glitch Mitchell and the Unseen Planet was a good enough story to publish. For a long time, I was just going to tell the story by posting one chapter here each week, and I’ll probably do that at some point, but I also decided to release the complete novel as a print and ebook. 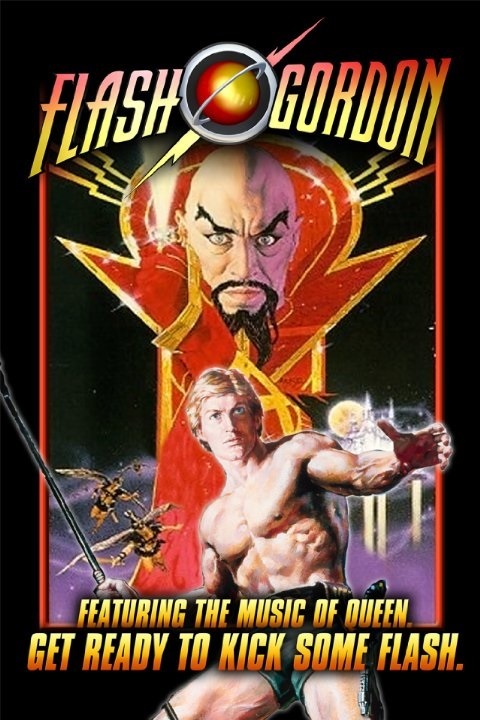 So, I set about getting some cover art that would evoke the feeling of the old Flash Gordon posters. Thanks to a post by Hugh Howey, I discovered M.S. Corley and commissioned him to draw a cover. He’s done a great job and if you’re on my mailing list you’ll have seen it already. I’ll be posting it here on the blog in a couple of weeks. The manuscript itself if going through some final edits at the moment, then it’ll be off to the proofreaders and formatter. 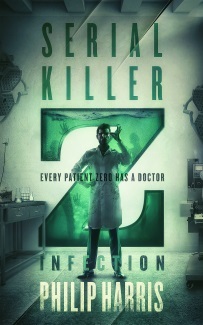 I’m really proud of the end result and can’t wait to get it in the hands of readers later this year. 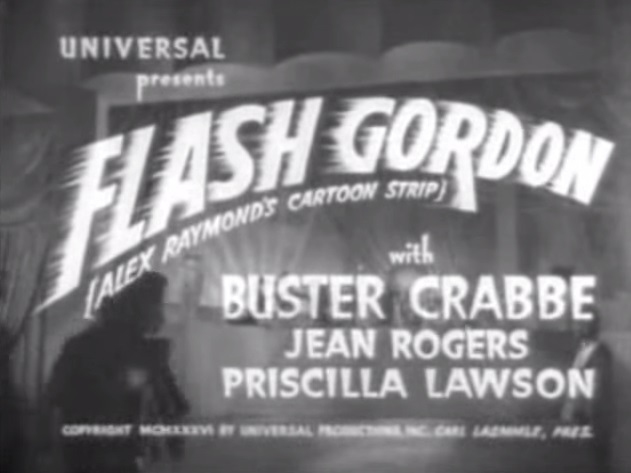 In the meantime, I’m going to set the mood (and maybe recapture a bit of my youth) by rewatching the original 1936 Flash Gordon serial and posting the episode, and my thoughts, here. Posts will go up at 10am Pacific Time every Saturday. I hope you’ll drop by and join the rewatch. The first post will go up tomorrow. If you’re interested in reading Glitch Mitchell and the Unseen Planet, I’ll be sending everyone on my mailing list a free copy a couple of weeks before it’s released. And for a limited time, you can get four of my ebooks FREE, by signing up to the mailing list here.